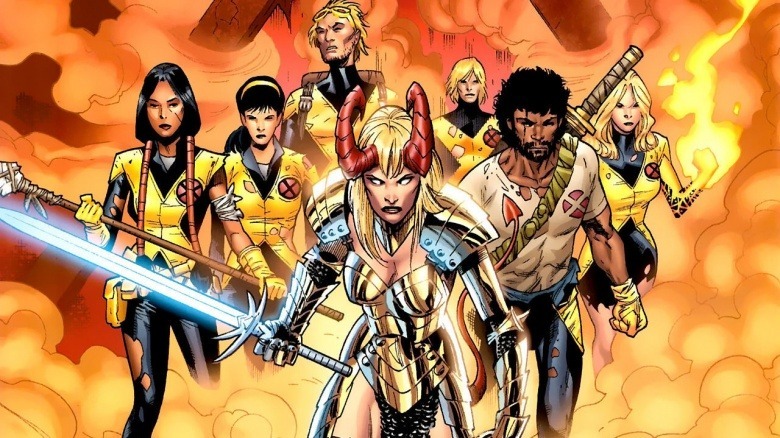 X-Men: The New Mutants writer/director Josh Boone has been busy dropping all sorts of juicy character teases on social media, and he seems positively giddy over the prospects of bringing Magik, Mirage, and Merengue to the big screen. He does face one challenge, though: most people have no idea who those characters are. In fact, you probably didn't even notice that we totally made up Merengue; that's a Latin dance style, not a mutant. 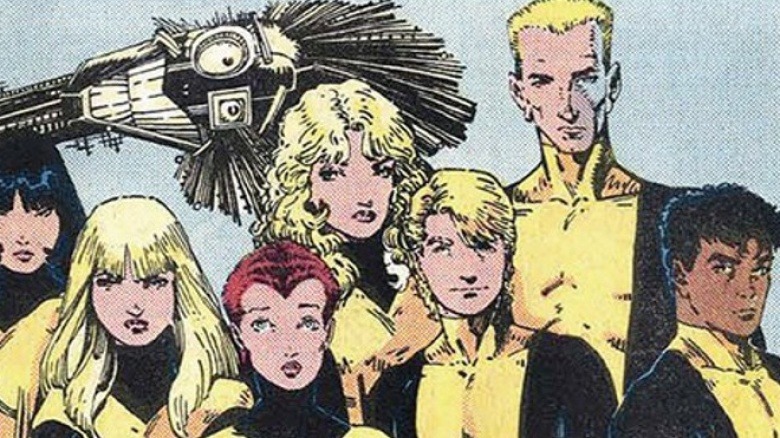 Don't worry, though, because we're here to fill you in on all the things you didn't know about The New Mutants. Welcome to the wonderful world of comics, which is pretty much the only place a crazy character like Magik could possibly exist. 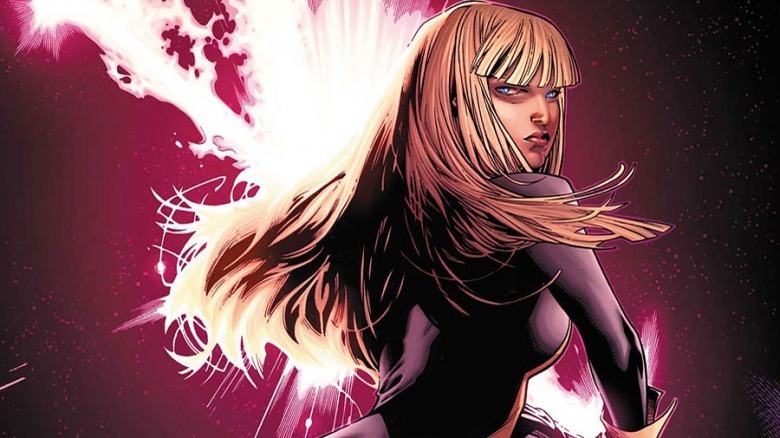 Here's her totally bizzare backstory, which we are not making up: the younger sister of the X-Men's Colossus, Illyana Raputin was kidnapped as a child by an evil sorcerer, who shanghaied her into another dimension and taught her how to wield sinister magic. She used her mutant powers to escape back to the real world, but not before her soul was corrupted by demonic forces that constantly threaten to turn her evil. 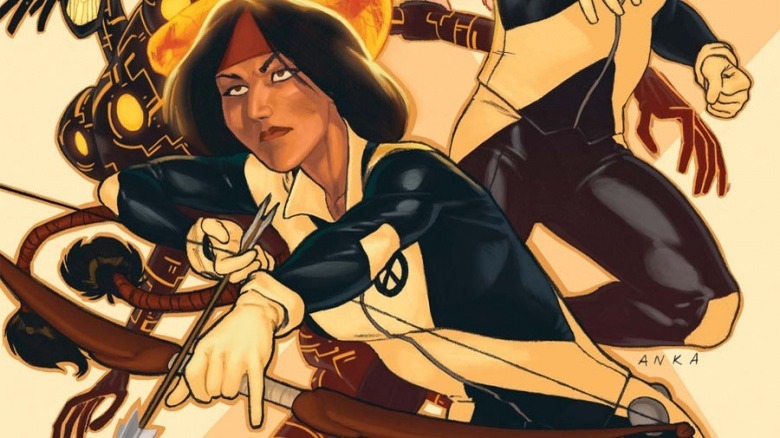 Like the rest of the New Mutants, she trains at Xavier's school to control her powers—and her dark side. 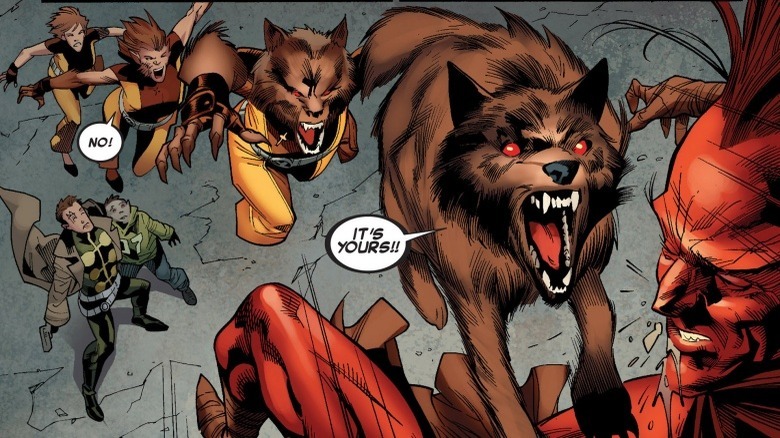 Scottish teen Rahne Sinclair (her first name is pronounced "rain") has the mutant ability to turn into a wolf, or a wolf/human hybrid, at will. That's the upside. The downside is that she was born into a repressively religious culture and believes her powers are the result of Satan's curse. Unfortunately, the other superstitious people in her hometown agreed and tried to kill her; she was rescued by Charles Xavier, but she still struggles constantly against the idea that being a mutant is inherently sinful. Danielle Moonstar is a full-blooded Native American from the Cheyenne tribe with the power to empathically sense people's fears or hopes and then project those as realistic three-dimensional illusions. Fair enough. This being comics, though, she comes with a couple other weird quirks. One is that she's being hunted by a demonic bear that murdered her parents. The other is that she ended up going to Asgard at one point (long story!) and becoming a valkyrie, even getting her own pet pegasus in the process. Safe to say our high school days were slightly less eventful. The oldest child of a tight-knit coal-mining family, Sam Guthrie assumed his life would consist of toiling in the mines of Kentucky. 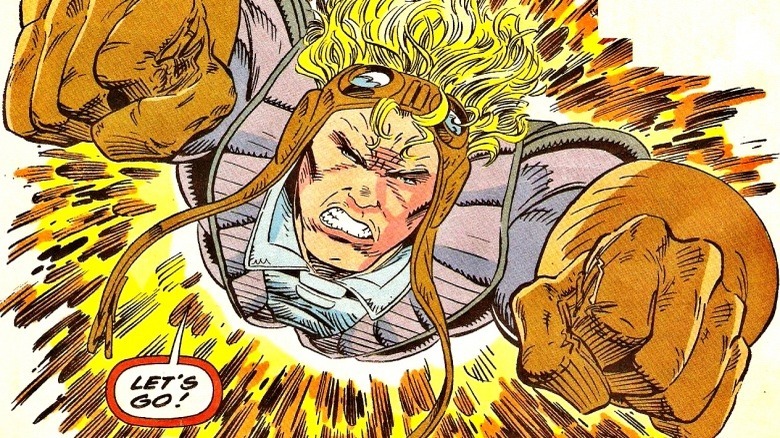 Then he manifested the mutant power to fly at incredible speeds and, well, crash into things really hard. Sometimes on purpose, even, but usually by accident. Luckily, when he's moving at speed he's also invulnerable, but only while he's flying. (If it sounds like they came up with the code name and then retrofitted everything else about the character to match the concept, well, they probably did.) Sam is the classic good-hearted, noble hero type, so given how movies work today, he'll probably die horribly in the first act. Roberto da Costa was a typical son of a Brazilian millionaire, whiling away his time playing soccer and impressing his girlfriend by buying expensive things. That all changed when he gained the power to absorb sunlight and channel it into his own muscles; the more sun he gets, the stronger he becomes. Unfortunately, it also turned out his father was totes evil, and the Sentinels and the Hellfire Club got involved and everything went straight to heck. 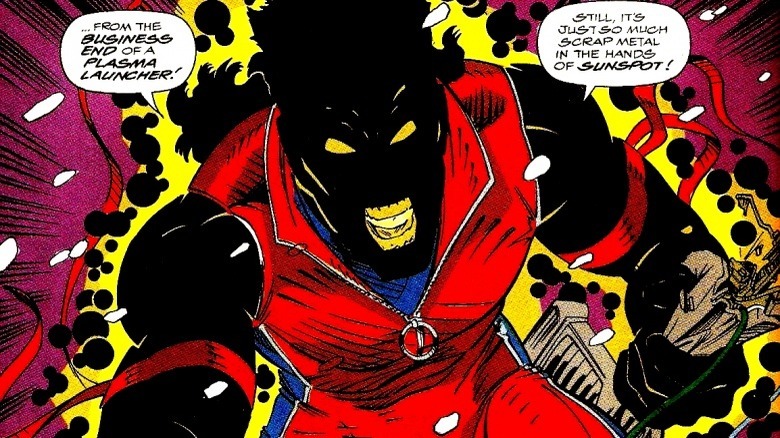 Frankly, Sunspot isn't that interesting, with his only real character trait being that he has a bad temper. He's a hothead—get it? Yeah. Moving on. Finally, the cast of characters (so far!) 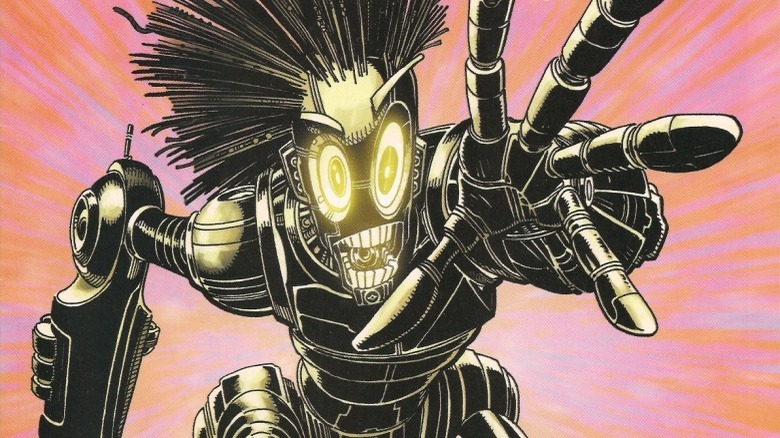 is rounded out by Warlock, a techno-organic alien (that means he's basically living metal) who can change his shape. Warlock arrives on Earth seeking asylum because his father, an insanely powerful intergalactic psychopath named Magus, is trying to kill him. Warlock is an interesting inclusion in the film because his unusual and expansive origin makes him kind of hard to fit in unless it's afforded a significant part of the film. Is Magus going to be the big bad guy for The New Mutants? We'll see! So Where's Negasonic Teenage Warhead? 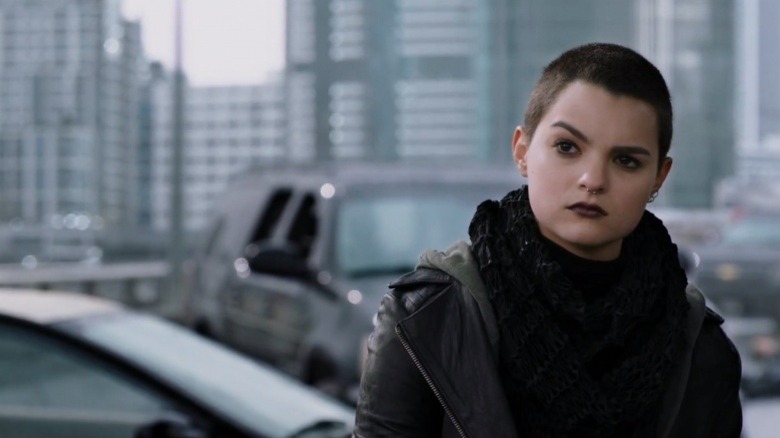 One of Deadpool's many highlights was Negasonic Teenage Warhead, a teenager (duh) being trained at Xavier's school. In other words, she's a student just like the rest of the New Mutants; logically, she should be on the team, yet there's been no mention of her so far. Perhaps even more conspicuous by her absence is Karma, who in the comics is a founding member of the New Mutants, with the power to psychically possess other people. Are they being saved for the sequel? Or are there more cast announcements to come? Time will tell! Not much is known yet about The New Mutants—though, by early 2018, we knew a whole lot more than we used to. 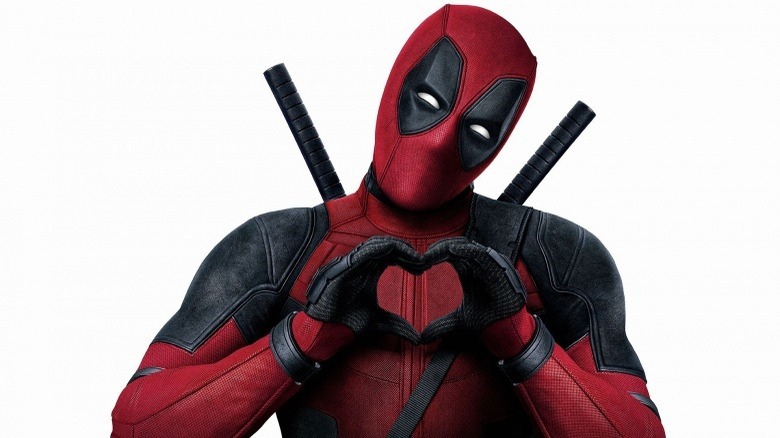 But one thing that we do know for sure is that the writers and producers are trying to give it a different vibe from both the X-Men films and Deadpool. Specifically, a young adult vibe. "New Mutants has more of a YA vibe to it," producer Simon Kinberg told IGN. See? Just like we said. Beyond that, well, you now know as much as we do. Here's hoping we learn a lot more real soon.